Fruit flies | Infonet Biovision Home. Fruit flies lay eggs under the skin of mature green and ripening fruit. 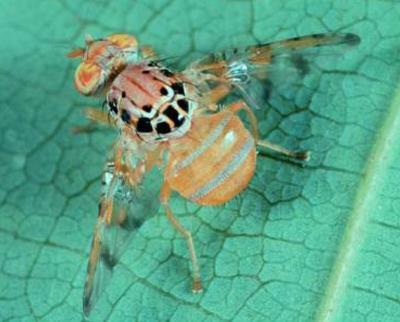 Some fruit flies such as Bactrocera invadens, a new species recently introduced into East Africa, also lay eggs on small fruit. The eggs hatch into whitish maggots within 1 to 2 days. The maggots feed on the fruit flesh and the fruit starts to rot. 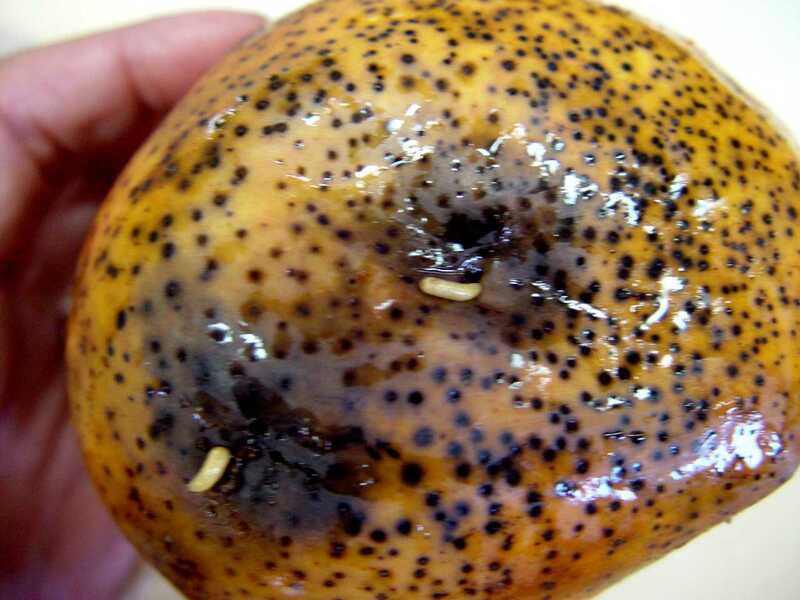 After 4 to 17 days, the maggots leave the fruit, making holes in the skin. Adult fruit flies are about 4-7 mm long. Collect and destroy all fallen fruits at least twice a week during the fruit season. Do not put collected damaged fruits into compost heaps. Instead, burn them or bury them at least 50 cm deep, so that the fruit flies cannot reach the soil surface. Remove fruits with dimples and those that ooze clear sap. This method is more laborious than picking the rotten fruits from the ground, but it is also more effective. Whenever possible, wrap fruit in newspaper or paper bags to prevent fruit flies from laying eggs on the fruit. This has to be done well before the fruit matures. Pick overripe fruits, as they attract fruit flies. 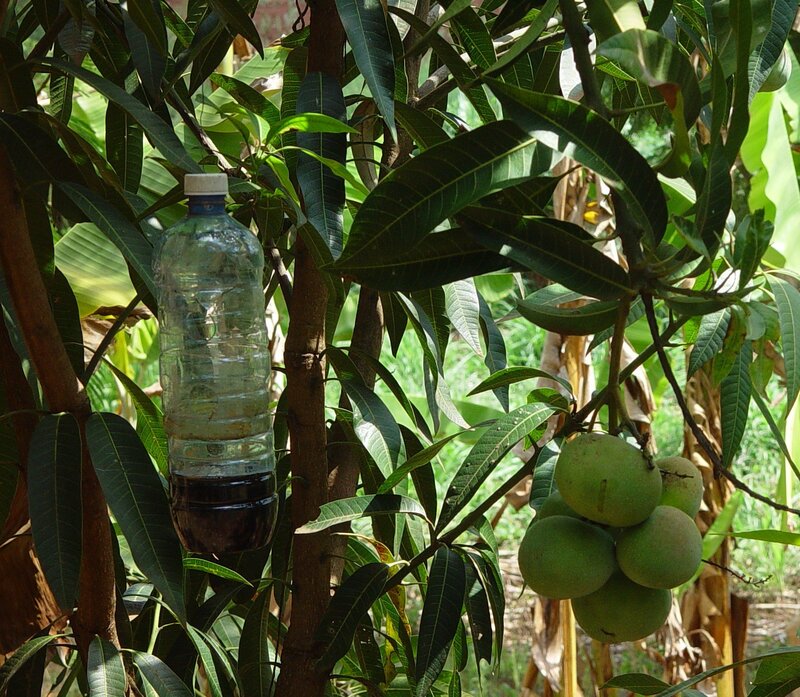 Physical methods include fruit fly traps and fruit bagging, see on Fruit-fly datasheet.